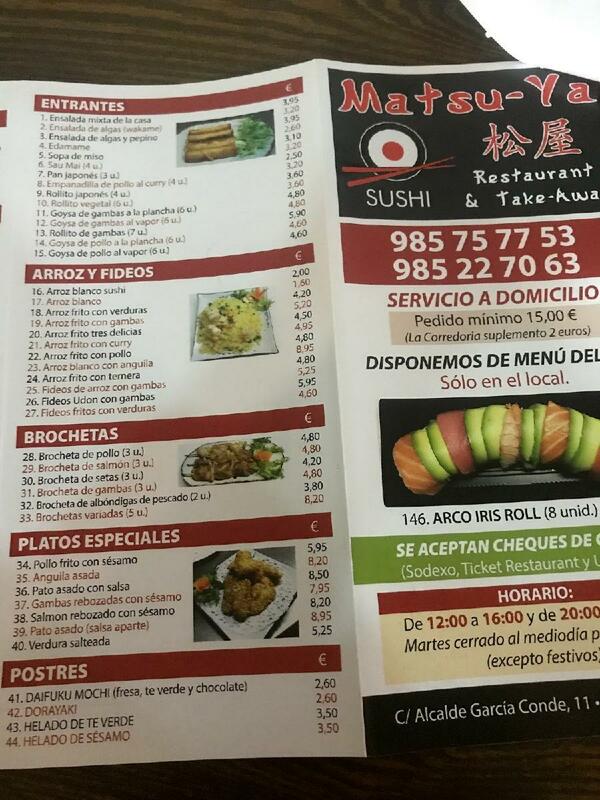 In case the rain took you by surprise during the promenade around Plaza Porlier, stop by this restaurant. 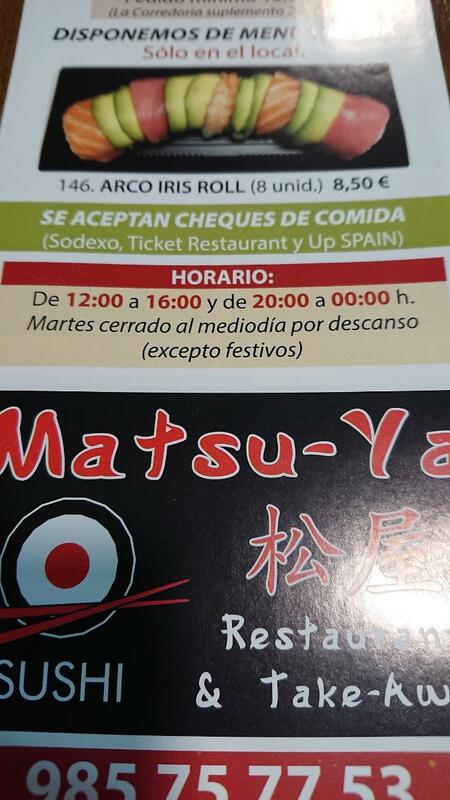 If you never appeared to try Chinese and Japanese cuisines, take your chance at Matsu Ya Sushi. The chef at this place cooks tasty sushi and good noodles. The creative staff works hard, stays positive and makes this place great. Terrific service is something that visitors highlight in their reviews. As for the Google rating, this spot received 4.3. 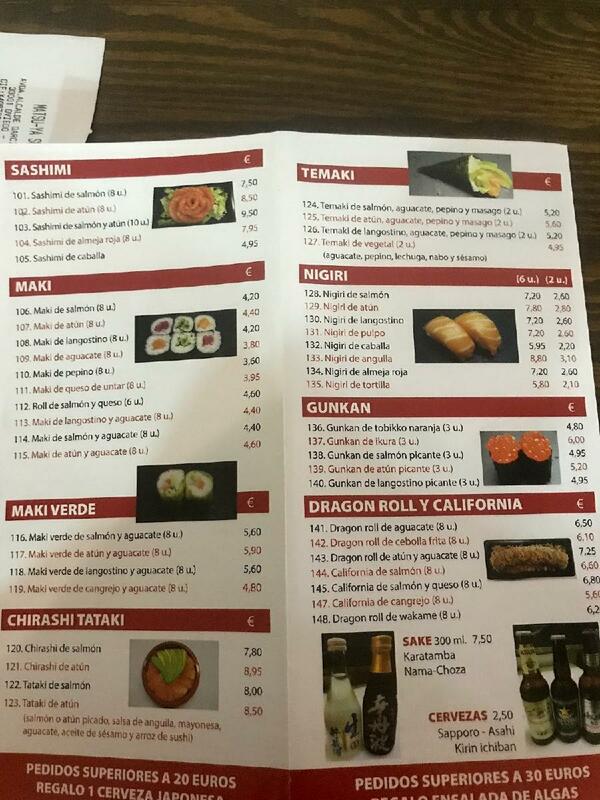 For 11 euros you get essentially a deconstructed bento box. 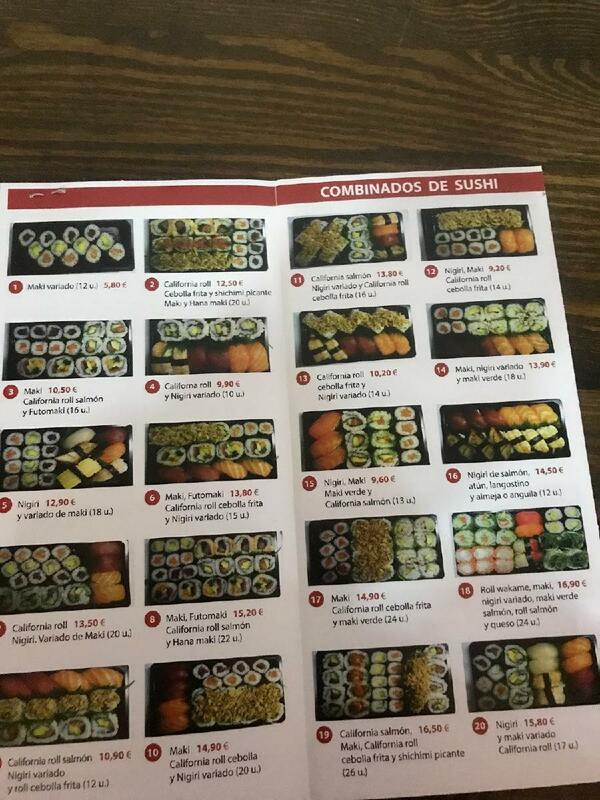 You can choose a soup or salad, sushi of your choice (I got the five-piece nigiri), a meat dish (like a yakitori style chicken or fish), and a starch dish, like fried rice or noodles. I had the vegetable noodles. You even get a dessert and a free drink! 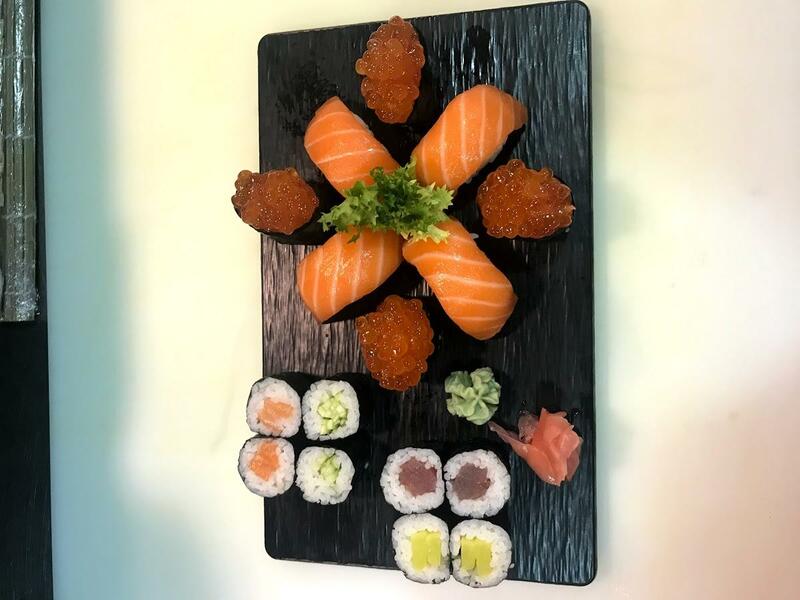 I recommend the sesame ice cream.Every dish I had was delicious, and I felt it was a good value for the price. The only thing is the tuna and octopus nigiri weren’t as fresh as I would have liked. And for some reason I didn’t receive the crunchy free appetizer that everyone else got. Maybe because I ordered before sitting down, or because I was one person, but regardless if you like crunchy fried crackers, make sure you get that before ordering. 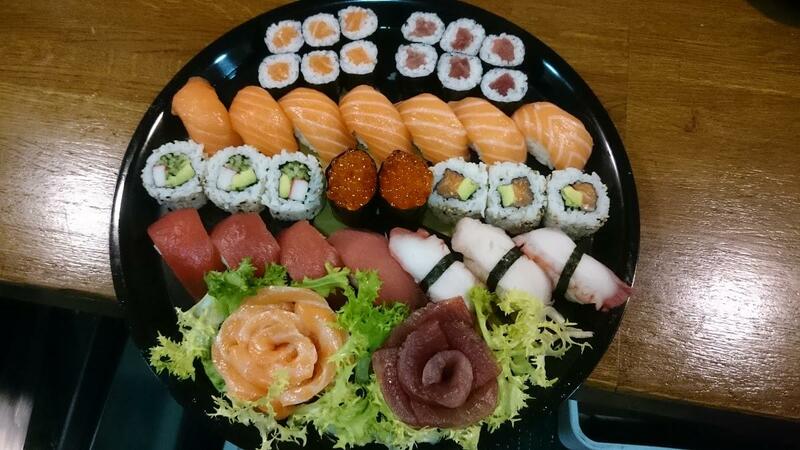 Best sushi in Oviedo - very fresh and with great, friendly staff.